TUFFA UK undertook a recent workshop extension to cope with demand for it’s larger steel tanks and the new steel fabrication workshop has been completed with state of the art equipment and overhead craneage to enable the production of the large commercial tanks. This enabled the construction of this 70,000 litre Dual Compartment Fuel Tank for delivery to a large Logistics company in the North East of England. 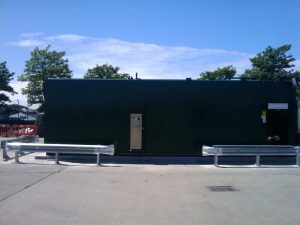 This bespoke specification includes 3 x Fuel Management Systems and 2 x walk-in points with roller shutter doors for the dispensing of DERV & Gas Oil from one unit. This space saving design is cost effective and convenient for the client. 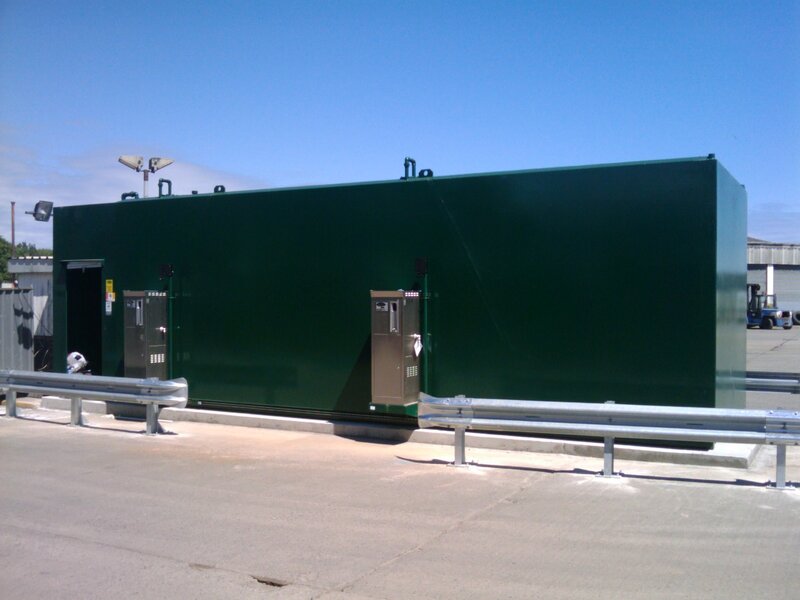 Other tanks for this firm include a 1200SB heating oil tank c/w fire protection, a 10000SB c/w suction port for connecting to existing dispensing equipment, a 4000SB heating oil tank c/w stand for gravity feed purposes, a towable site bowser, a 2200SB heating oil tank, a 1000SB waste oil tank and a 24000SB c/w 2 x suction ports to connect to dispensing pumps with built in fuel management. The Logistics company were so impressed by the quality of the tanks, and the service provided by the enthusiastic and helpful Tuffa staff, that there are a further two sites which are keen to acquire Tuffa Steel Tanks. TUFFA will always try their best to achieve the customers requirements and expectations to the highest possible standard, on time delivery and a competitive price.